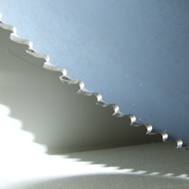 Need a circular cold saw to make perfect cuts—every shift, every day? You can rely on the CS-275M. 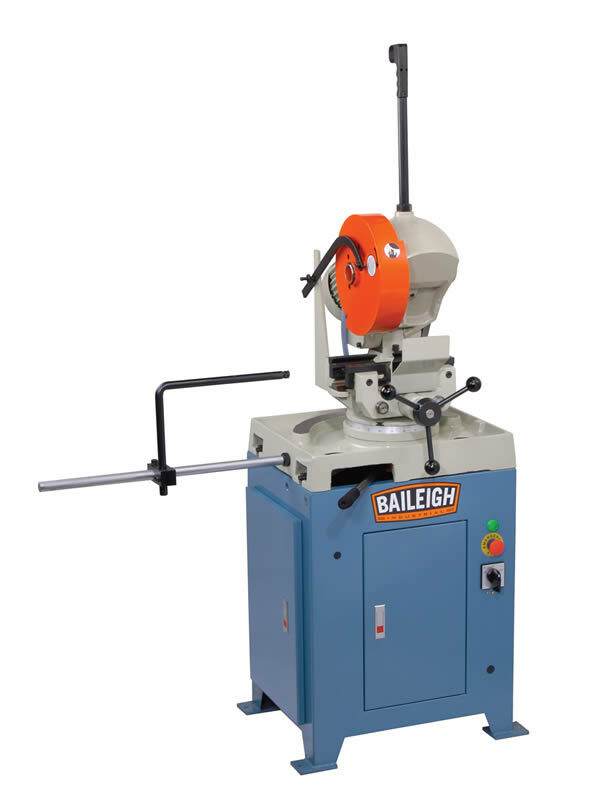 It comes with a self-centering vise, steel stand, and flood coolant system. 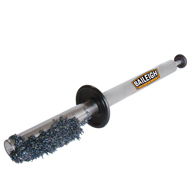 2.75” round tube capacity at 90°. 3 hp motor requires 220 volt 3-phase power. Choose from 2 speeds depending on your material: between 60 rpm (mild steel) and 120 rpm (aluminum). Direct-drive head features all-metal gears, ground and hardened to last for many years. Backlash adjustment ensures tight tolerances throughout the life of the saw. 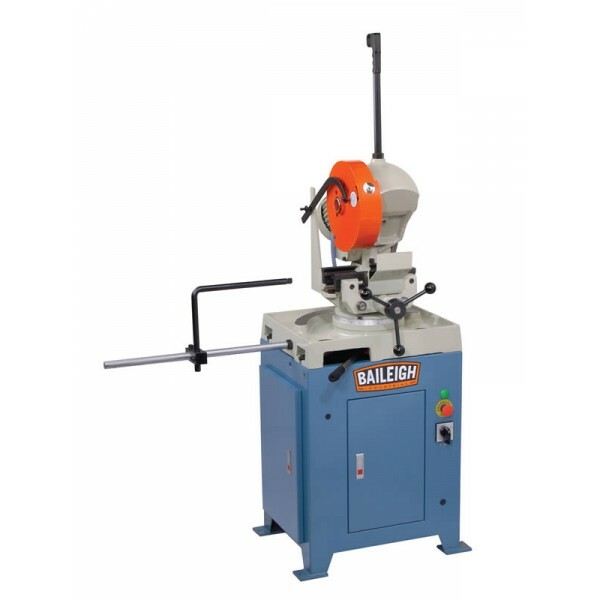 Self-centering American-style vise keeps the material correctly aligned with the blade for perfect cuts. Sturdy stop rod can move left or right to set up repeatable lengths for production runs. 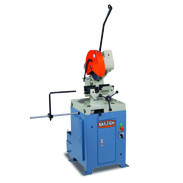 Heavy folded steel base—larger and wider than our CS-275EU—stabilizes the machine for accurate, wobble-free cutting. Flood coolant system helps the blade make burr-free cuts, takes strain off the operator, and enables the blades and saw to last longer. We offer lifetime technical support by phone from a team of reps with hands-on machine experience.